Special Offer - Free Discount Card with 200+ Discounts! Receive your FREE GO Play discount card when you hire with GO Rentals. Use your GO Play discount brochure and GO maps to find your accommodation and activity options or locate your options online. Book direct with GO Play operators and mention your GO Play discount card. 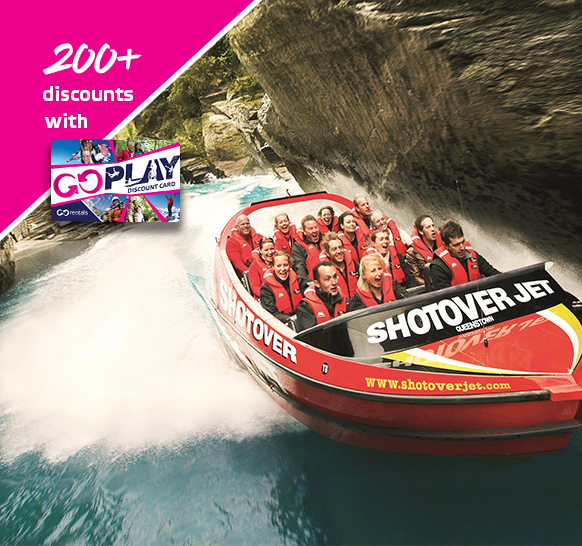 Show your GO Play card on arrival to receive your discount. Selected activities and accommodation can be booked online through the dedicated GO Play section of GO Rentals website. One GO Play discount card can be used for individuals or small groups travelling in the same vehicle. If your group is planning on splitting up for activities, you can ask one of our staff for an extra GO Play discount card when you pick up your vehicle. Keep your GO Play card after your hire is complete to keep receiving discounts.